Visualise your existing franchise territories, competitors, customer locations and purchasing preferences on an intuitive, map-based interface. Then, use this insight to plan future locations. Periscope® reveals comprehensive location intelligence designed to optimise franchise performance, enable expansion and minimise disputes. Do you have 10 minutes to explore what Periscope® could do for your company? Periscope® is an advanced Cloud-based system that’s simple enough for anyone to use. Gain the insight you need to optimise the financial performance of every outlet by enabling your franchisees to move into high-performance locations without competing against other branches. 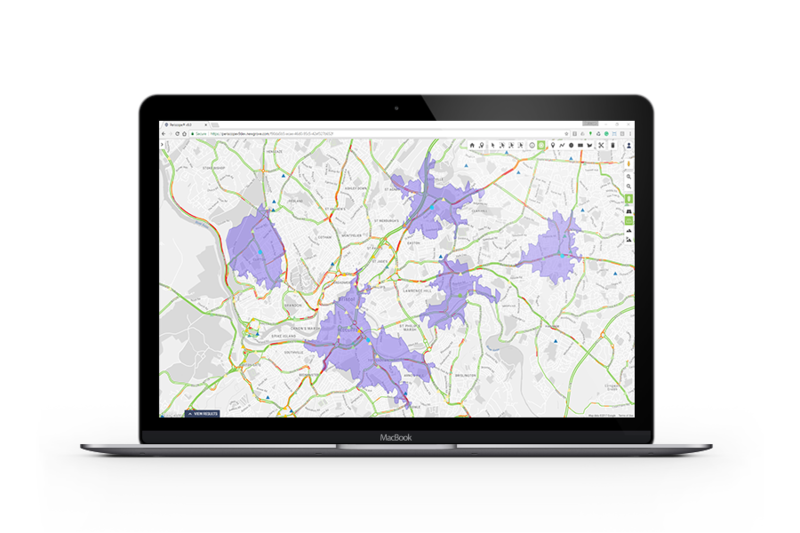 Overlay up to 200 data attributes and visualise them using your own secure, corporate version of Google Maps. This advanced franchise planning tool recognises that every company needs different data to make an informed decision. Periscope® enables you to collate extensive franchisee, customer, locality and competitor data from multiple sources and convert it into actionable insight. Once the data has been input, you can create detailed map-based visualisations and reports to be exported and shared with all relevant decision-makers within the franchise.